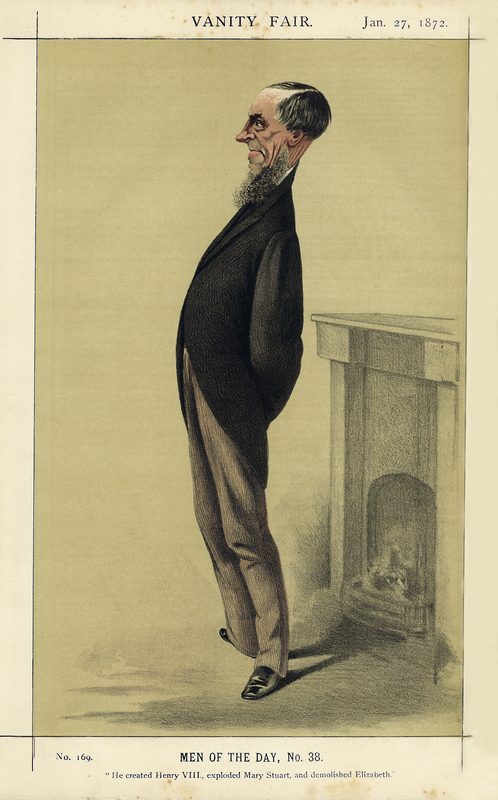 At the time of this portrait, James Anthony Froude (1818-1894) was celebrated for his popular history of the English Reformation. In later years, he became a travel writer, a controversial biographer of his friend Thomas Carlyle, and a notorious champion of the British Empire. Adriano Cecioni, “James Anthony Froude,” ourheritage.ac.nz | OUR Heritage, accessed April 26, 2019, http://ourheritage.ac.nz/items/show/10864.